I hope you had a wonderful Easter full of food and love. But you know, if you didn’t have a picture-perfect holiday, I hope you’re not looking through your Instagram feed and feeling like a black sheep. Or worse, feeling like a misfit toy. Let me help you by telling you about my Easter “celebration.” It began bright and early at 5:45 am when my dog woke me up to go outside. After taking her out, I stumbled into the kitchen. I didn’t eat the gorgeous Coconut Cheesecake Breakfast Braid that I developed as an Easter morning breakfast. Instead, I ate leftover chips and queso while standing at the kitchen sink. Then I played Word Crack for awhile before falling back to sleep. I’ve been going to what I call a “recovery church” in Raleigh for the past two years: an amazing community of people re-figuring things out. But I decided that for Easter, I really wanted to go to a church with worship songs I love and remember. I picked one out online to try. When Mike and I arrived, it was a megachurch. I have nothing against megachurches; in fact, I almost feel more comfortable in them, since I attended one most of my life. But this church was more of a . . . production. Things felt very orchestrated. It just didn’t feel natural to me. We shuffled in; sang two songs, neither of which I knew; listened to a sermon I found a little misguided (albeit well-intentioned); and shuffled out. The whole thing left me feeling alone in my faith again. Back at home, I took a fitful nap. Mike and I got in a fight and then made up by watching a video of pugs wearing bunny ears. I worked until midnight (12:08, to be exact, and not finished yet!) before finally going to bed. Today wasn’t all bad by any means. Easter is incredibly special to me and this one was no exception. But if all you saw were my posts on social media — my “Happy Easter!” Facebook status, my Pinterest-worthy dinner picture — you might feel like everything was just peachy. You might wonder why you couldn’t get it together when everyone else’s Easter was hopping along so nicely. You might not have realized that we’re all driving over our own rocky roads. Let’s let each other off the hook. Let’s let ourselves off the hook. Bake up some sweet, buttery lemon cookies and share in the comments below or over on Facebook the ways your life has been decidedly un-Pinterest-worthy lately! 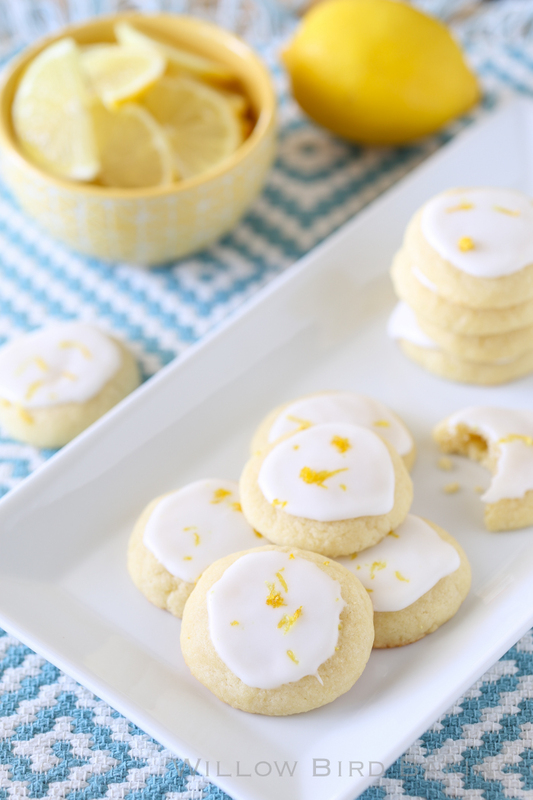 Sweet, tangy, buttery, bright spring cookies that melt in your mouth! I recommend using light-colored cookie sheets to ensure the bottom of your cookies don't brown. I've had good results from airbake cookie sheets. Preheat the oven to 375 degrees F and line a light-colored baking sheet with parchment paper. In a medium bowl, whisk together the flour, baking powder, and salt. In a separate large bowl, cream together the butter and sugar until pale, light, and fluffy (2-3 minutes). Add the egg and lemon extract and mix until just combined. Add the flour mixture in about 4 additions, mixing until just combined after each. Mix to completely combine. Roll the mixture into 1-tablespoon balls between your hands (get them really smooth), place them on prepared baking sheet about 2 inches apart, and gently flatten them with the bottom of a glass. Bake the cookies for 7 and a half minutes. They won't brown at all, but they're ready! Let them cool on the baking sheet for 5 minutes before transferring them to a cooling rack to cool completely. In a small bowl, whisk together the powdered sugar and lemon extract. Add milk or water in tablespoon measures, whisking after each addition, until the icing reaches spreading (not pouring) consistency. Use the back of a spoon to spread the icing onto each cooled cookie, zesting a lemon over them after you ice each batch of 5 or so (so the icing won't set before the zest hits it). Let the cookies rest for 10 minutes so the icing sets completely and serve. Store leftovers in an airtight container in the fridge, but serve at room temperature. These cookies are gorgeous!! Pinned and dying to make! I really enjoyed your post, Julie. It’s so true. Life doesn’t always fit into this great image we unconsciously create in our comments and regular blogs. It’s more complicated than that, and really appreciate your honesty. It inspires me. I went to church this morning for the first time in a really long time. My husband, though I love him, is an agnostic. I wish so much it’s something we could share, but it isn’t. He’s a humanist – and there’s nothing wrong in that. But I was frustrated today by the fact that while I was sharing some moments from the service with him, that he was testing ring tones on his phone. (I’m sure there’s a good post in there.) And I spent much of the day nursing a sick puppy. Life sometimes is just what’s happening right then, and knowing how important it is to be present to that. It may not be the perfect image we all have about a holiday like Easter, but that’s ok too. Some years are. Some years aren’t. Susan, I’m glad you attended church today and sorry that your husband doesn’t share the same religious belief.I’ve been married 50+ years and it is the same situation here. But my faith is my lifeline and has guided me and gives me hope and strength for each day. It’s really true that “The first 50 years are the hardest! 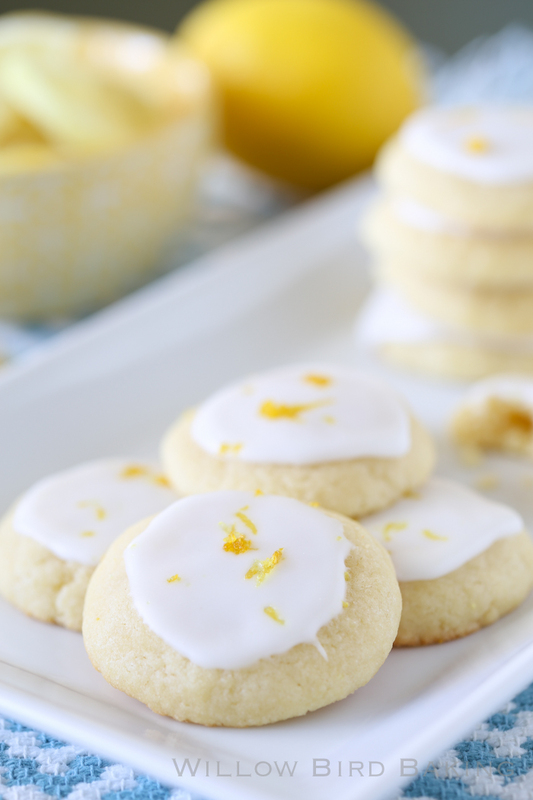 But I think the days will be much better with these delicious Lemon Meltaway Cookies, I can hardly wait for some! We must thank dear Julie for this great recipe. Hang on tight Girlfriends everywhere, and stay true to yourself. Those cookies look delicious! Yumm’d it for you and for me to try later! And these cookies are gorgeous! The lemon is perfect for Spring! Pinned! Thanks for writing, yet again, words that resonate with me. At lunch yesterday I looked around Five Guys at the other folks who chose to eat burgers and fries on Easter Sunday. We were there because it was my daughter’s birthday, and on your birthday in our family what you want to eat trumps what holiday dictates you *should* be eating. My burger was tasty and the fries were perfectly cooked and seasoned, and my daughter splurged on a bacon cheeseburger and relished every bite. That’s a win in my book–even if it doesn’t match the FB/Pinterest ideal. 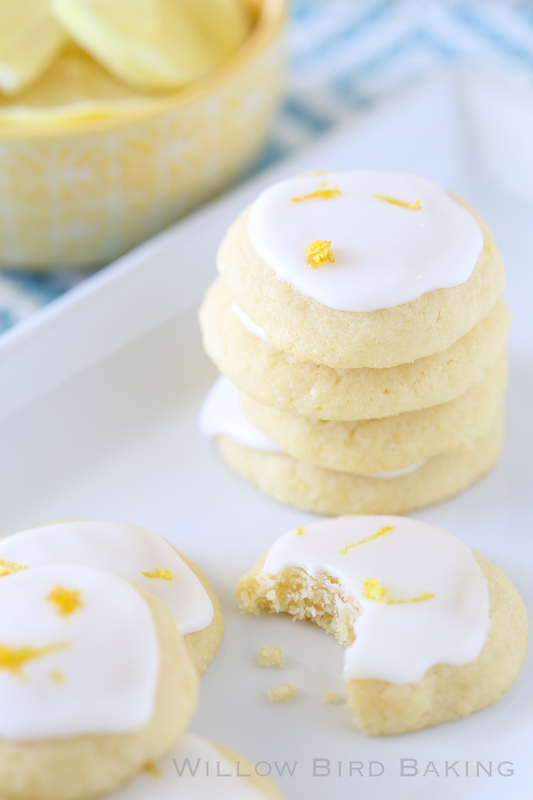 These cookies, though–totally meet the ideal, and right up my son’s alley since he’s a big lemon fan. Coincidentally, his birthday is coming up next! You had me at lemon 🙂 Seriously, I am bookmarking this one. Thanks! These cookies look melt-in-your-mouth amazing! 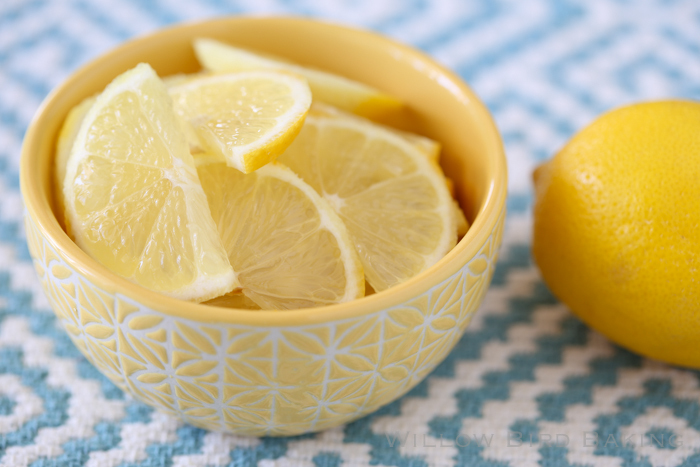 I’m loving all things lemon right now and these look so perfect for spring! These are so cute!! Love the lemon zest on top too. Just such a cute touch. 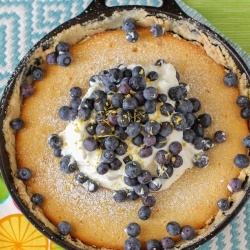 I love lemon desserts, and these look melt-in-your-mouth delicious! I just love all dessert that are lemon. These look so good! These look gorgeous. I could eat a dozen of them! Your cookies looks absolutely awesome! So pretty & cheerful. Yum! 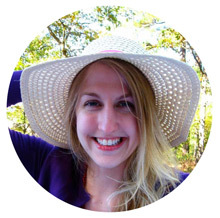 I loved your candor in this post, Julie! It’s true that as a blogger, I want to paint a good picture for my readers. But like you said, life isn’t always peachy keen. I find it adorable that you and Mike made up by watching videos of pugs in bunny ears! Anyway, Iet’s just let these cookies melt away some of our problems. Hope you have a great rest of the week! Dear Julie,I printed your lemon cookie recipe earlier today,but you stayed on my mind,about your Easter service,it seems like All the mega Churches are not spirit filled anymore. But know our LORD is alive and well,and hears us when we call on him with our prayers. And there is nothing like hearing them great old hymns like Amazing Grace and so many others. Just remember JESUS OUR LORD LOVES YOU! Hugs,to you and your hubby,glad you made up!! Thank you for being genuine. As my Great Grandmother Wiseman used to say, “Life isn’t full of sunshine and roses.” I am so glad I read your post today. Hugs for letting us sharing with us. Your baking always looks so fresh and inviting! I keep coming back to these cookies and will have to make them soon. Thanks!